New generation is all about keeping things compact yet fun. Compact utility vehicles, compact sedan are all about keeping things compact, convenient, easy for pockets yet fun to drive. Ford Ecosport embarked the rage of compact SUV’s across the globe. Looking at the success every manufacturer wants to jump into compact SUV segment just like compact sedan segment. 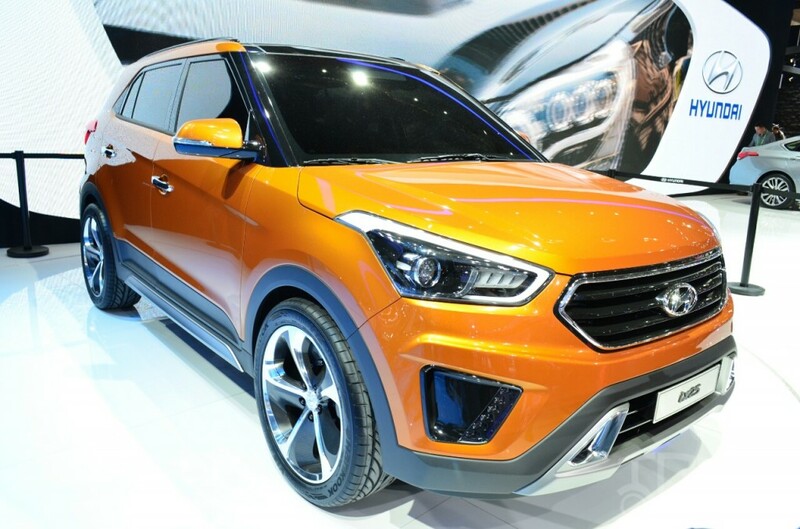 Korean Auto giant Hyundai has unveiled the much awaited IX-25, rival for Ford EcoSport. 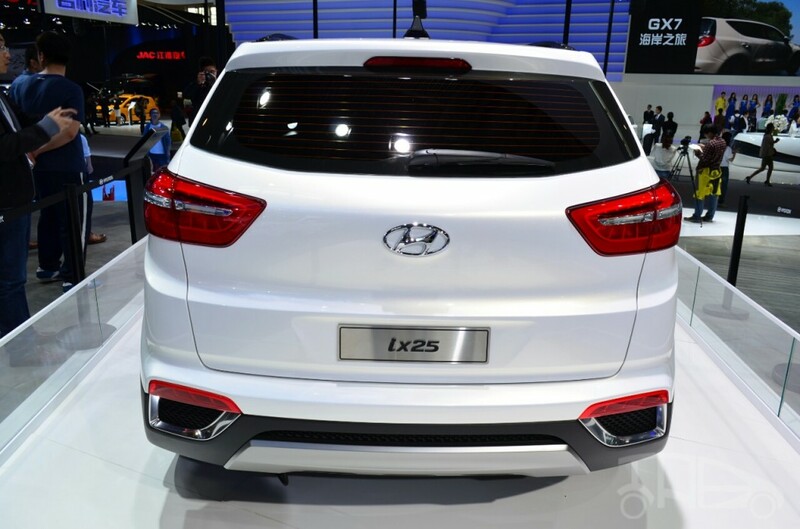 After a long wait Hyundai unveiled IX-25 at 2014 Beijing Motor Show. 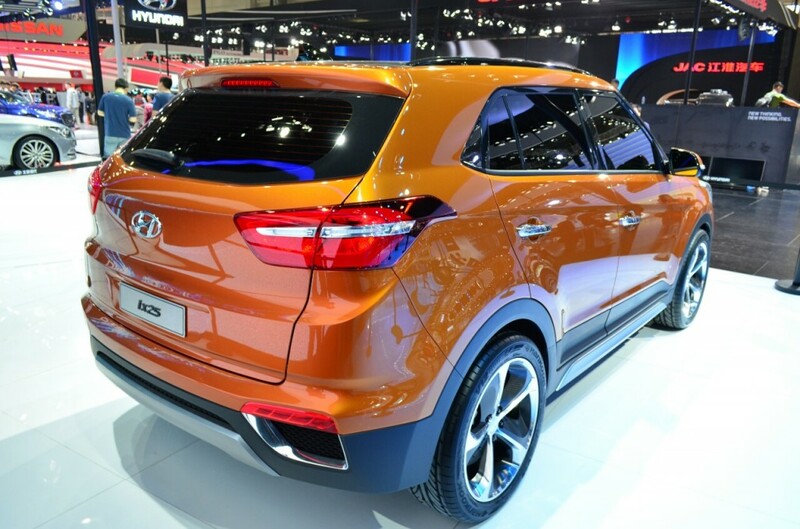 IX-25 is based on i-20 platform and developed with the Hyundai Fluidic Sculpture 2.0 design philosophy. IX25 comes with a monocoque body like the i20 hatchback. 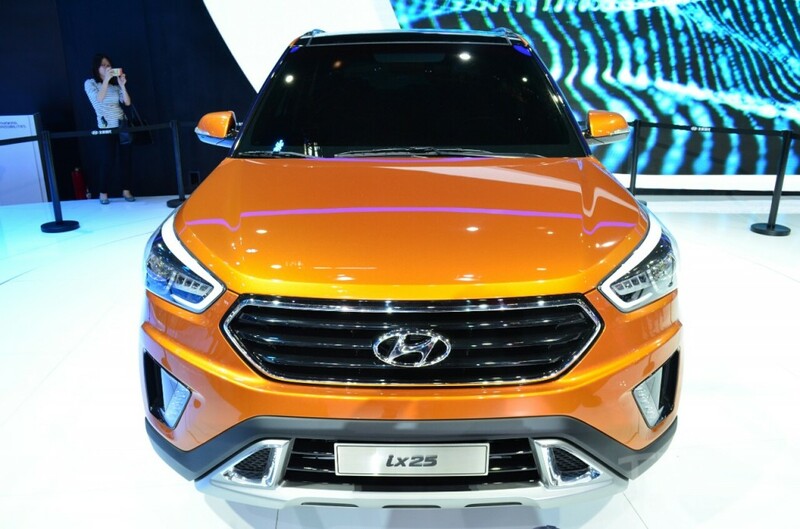 Flashing its hexagonal grill, wrapped around lights with LED DRL’s, huge fog lamps and big grills for airflow, IX-25 is designed with similar design as that of Santa-fe. Twin mufflers add the more aggressive touch to the rear design. 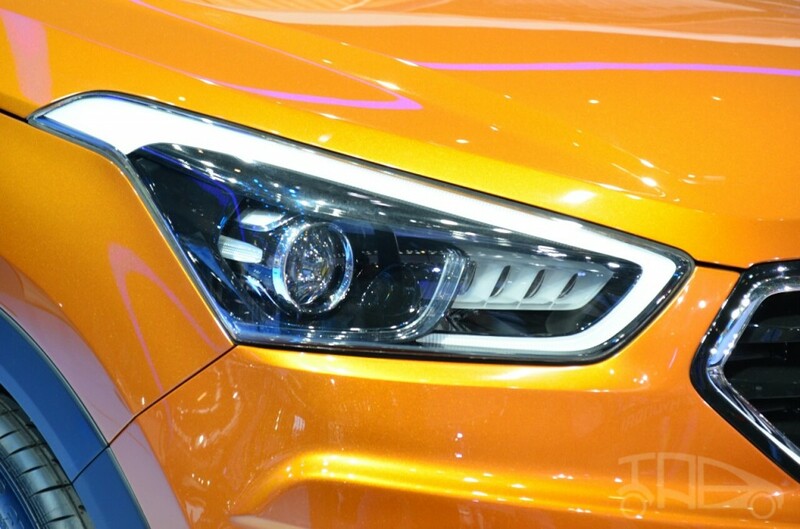 IX-25 is certainly one of the best looking crossovers that will take on Ford EcoSport. IX-25 is strategically developed for China market, is 4,270 millimeters long, 1,780mm wide and 1,630mm tall while its wheelbase is 2,590mm. Though it is India bound, there are slight chances Hyundai will fit it under 4-meter barrier for obvious reason of benefits in excise duty. IX-25 will be launched in China with only Petrol motor, as Petrol is much preferred in China. Hyundai will launch IX-25 with both Petrol as well as turbo-diesel variant as India is Diesel friendly market. Prototype is already designed as per diesel motor requirement. There are chances of IX-20 to share similar engine as that of 2015 i-20 and will share the same plant in India. Sadly India still has to wait for some time for this Compact Utility Vehicle. According to AutoColumn sources, the car is expected to hit production in 2015 first quarter at Irungattukkottai plant of Hyundai. The company will export IX-25 to global markets from India and follow Ford’s strategy to concentrate on exports. The vehicle is expected to be launched in India in the second quarter of 2015.